The newly-arrived USAAF is formally taking over an RAF station, December 1942. Despite this rather special occasion, this photo is a perfect example of the atmosphere of a wartime RAF station with its camouflaged hangars and anonymous, rather ugly utilitarian architecture. 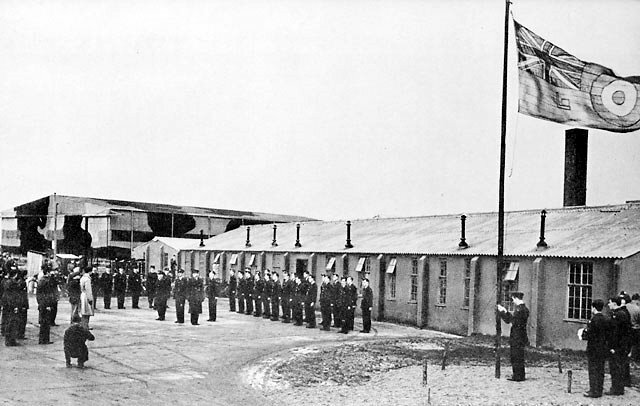 Unfortunately the place has not been recorded – can anyone identify the airfield?